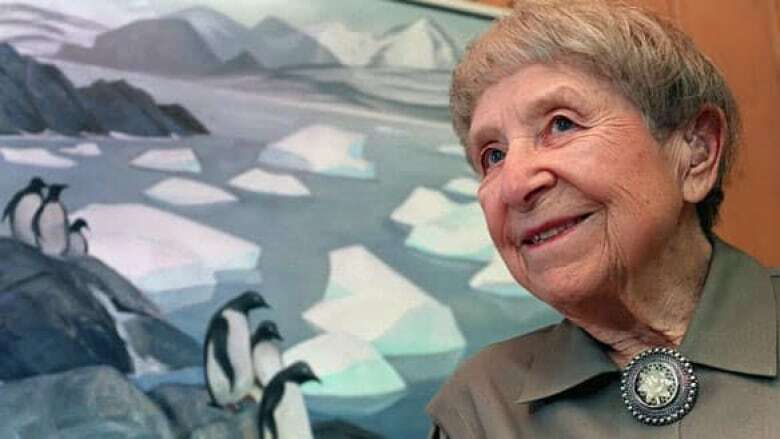 Doris McCarthy, the Canadian artist known for her landscapes and depictions of Arctic icebergs, has died. She was 100. Doris McCarthy, shown in her Toronto home in 1999, made history as the first woman to become president of the Ontario Society of Artists. McCarthy died this week at 100. 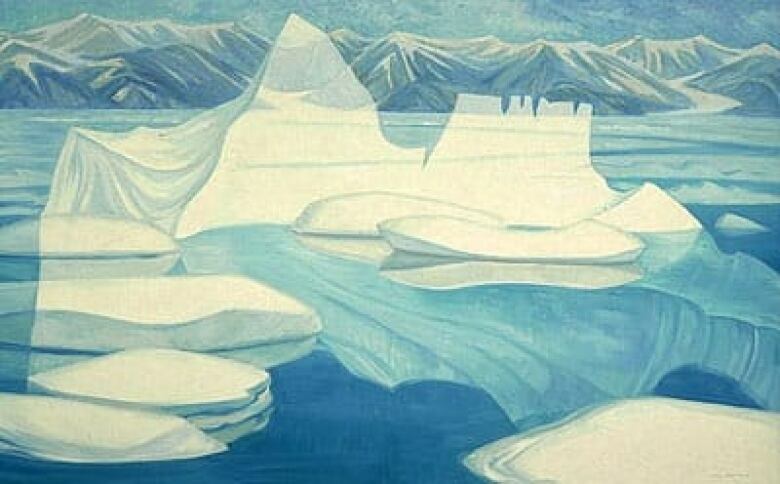 ((Tannis Toohey/Canadian Press))Doris McCarthy, the Canadian artist known for her landscapes and depictions of Arctic icebergs, has died. She was 100. The McCarthy family issued a statement Thursday confirming her death at home in the Scarborough Bluffs neighbourhood of Toronto. "Doris died peacefully at home, the home she lovingly called Fool's Paradise, which she bought and built in 1939, where she chose to spend her last days surrounded by nature, art, friends and family," Beth McCarthy, her great niece, said in the statement. Doris McCarthy celebrated her 100th birthday in July with a major exhibit of her work at the University of Toronto gallery named after her. McCarthy donated her house to the Ontario Heritage Trust to be used as an artist studio/sanctuary after her death. In a 2005 interview with CBC's Metro Morning, she talked about her love for the property, perched on the edge of the Bluffs and covered, when she bought it, with poison ivy. McCarthy said her mother objected to her buying a home of her own and termed it "Fool's Paradise." "Once mother had called this Fool's Paradise and I had accepted that as its name, the angel became a very natural symbol, so I have angels all over the place," she said. "I'm a nest-builder by instinct and I built this nest which I have considered a joy, a sanctuary, a root, and all those things give you the emotion, security which helps you to create." Doris McCarthy's Iceberg Fantasy before Bylot, a 1974 oil on canvas, is part of the National Gallery of Canada collection. ((National Gallery of Canada))McCarthy influenced a generation of young artists through teaching at Toronto's Central Technical School and later as a mentor. Born in Calgary on July 7, 1910, McCarthy moved with her family to Toronto in 1913 and graduated from the Ontario College of Art in 1930. Among her mentors and teachers at the Ontario College of Art were members of the Group Of Seven: Arthur Lismer, A.Y. Jackson, J.E.H. MacDonald and Lawren Harris. The first female president of the Ontario Society of Artists, she travelled the world to photograph and sketch. She explored abstract and surreal painting, as well as other new concepts in painting throughout her career. She taught at Central Technical School from 1932 until she retired in 1972. Landscape was always an inspiration for her, and she painted scenes from every Canadian province and territory. She also had a summer studio on Georgian Bay. Her love of the Canadian Arctic is evident in her series Iceberg Fantasies. In retirement, McCarthy devoted herself to her painting and in 1989, graduated from the University of Toronto at Scarborough with a BA in English. "When I retired from teaching, I thought that the next major event of my life would be dying," she said in an interview with the Huffington Post's Julia Moulden. "There was no imagining that the best years were still ahead of me." She wrote three autobiographical books — A Fool in Paradise, The Good Wine and Ninety Years Wise — that chronicled her career as a painter. McCarthy's work has been exhibited across Canada and is held in the collection of the National Gallery of Canada, the Art Gallery of Ontario and the Doris McCarthy Art Gallery at University of Toronto at Scarborough. Ann MacDonald, director of the Doris McCarthy Art Gallery, said she will remember McCarthy as an "utterly captivating, vivacious, wonderfully sparkly woman." She was honoured with the Order of Canada and the Order of Ontario, as well as many honorary degrees.